Although Nipah Bay is very popular in Pangkor, the most beautiful beach can be found in the islands including Giam Island, which can be swum during high tide or can be crossed by foot during low tide. You can also charter a kayak to paddle out on both islands of Giam and Mentangor. Besides swimming and enjoying the beach, wading across the island during low tide is one of the most exciting activities you could and should try. When you’re on this activity, head off to Pasir Giam Beach in the morning where the tide is still ankle-level. Also, pay careful attention to the rising tides. 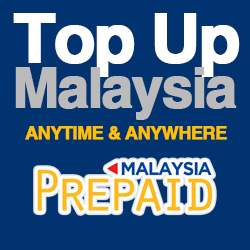 Obviously, you don’t want to be stranded in Pulau Giam. There are a lot of tourists wading across so just check the crowd movement when it’s time to head back. While walking across, you’ll come across some stunning, colorful corals and aquatic life including seaweeds, sea cucumbers which are popularly sold in town for its healing properties and starfish. For nature lovers, it’s the perfect moment to snap some close shots of these creatures when the water level is still extremely low. Looking at it from a distance, Giam Island appears like a couple of humps covered with scenic green forests with great snorkeling opportunity in the surrounding waters. Large boulders partially surround the island while the other half is filled with soft white sand: a great place for diving, swimming and snorkeling. 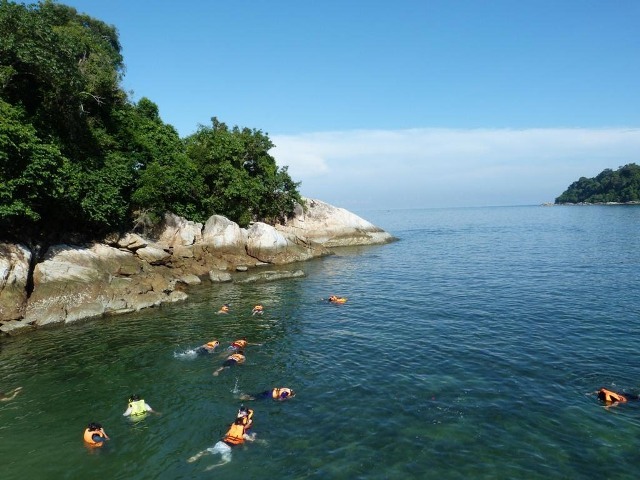 The island is a very popular snorkeling spot in Pangkor Island because of the abundance of aquatic creatures dwelling in its waters’ perimeters. The island doesn’t have a lot of fish varieties besides the common Pacific Sergeant but it has a rich amount of corals and other marine creatures like sea cucumbers, sea urchins and more. The Giam beach looks clean and the water is clear enough for snorkeling. The underwater is also visible although during crowded days, the waters may turn out murky and unclear. But be careful when snorkeling as there are many sharp corals you can encounter as you search from the beach going into the seawater. It is best to wear protective footwear (dive shoes) when looking for the perfect spot to dip or best waters to snorkel. Better ask the boat operator for the perfect place to snorkel and which site has plenty of sea urchins since this creature may cause injuries to your feet. Majority of hotels and resorts in Pangkor Island offer vacation packages that include island hopping and snorkeling to Giam Island. They usually provide the snorkel equipment and, on some occasion, even the food for lunch. Scuba diving near the island offers a fantastic experience as you get up close to some fascinating marine life like clown fish, turtles and colorful coral reefs.